In these videos, kids get to join in on Fire Truck’s cartoon adventures! They’ll definitely fall in love with the best fire truck cartoon online. Watching Fire Truck’s adventures helps kids feel more comfortable with firemen, which could be a life saver for them if they are ever in a fire. The most convenient way to learn these lessons about firemen and fire trucks is online. Parents can cook dinner or do chores, while their kids are entertained learning about, and watching fire trucks. Parents can also bond with their children by watch these videos with them, and then asking their children open-ended questions about them. 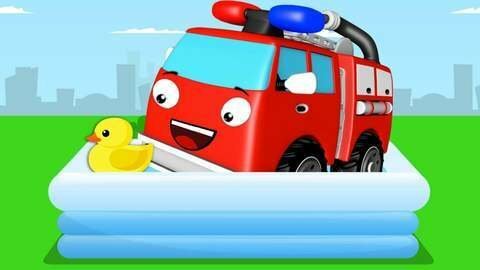 Join Fire Truck and his friends, Police Car, Ambulance, and Tow Truck in these cartoon adventures. Only available at Seezis!